New Doom levels usually are build from scratch featuring a new design with new ideas. 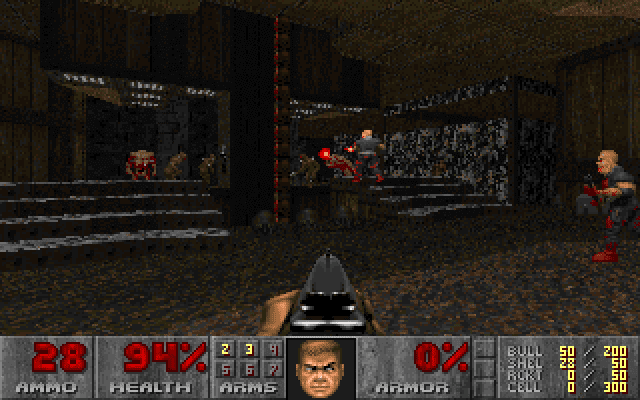 In the past I made Doom levels this way, too. After years have passed I came to the idea to create a level based upon all the original Doom levels. I made two levels; the first featuring a part of each level from episode 1 to episode 3. The second has parts from each level of the fourth episode. Everything has been put together at random; if it fitted nicely it was pasted into the new level. I recorded video's of both maps which you can find on YouTube: Doom Level-mix episode 1 to 3 and Doom Level-mix episode 4. E1M1: Hangar with E1M3: Toxin Refinery in the background. E4M2: Perfect Hatred with E4M3: Sever the Wicked on the right far end. 1. 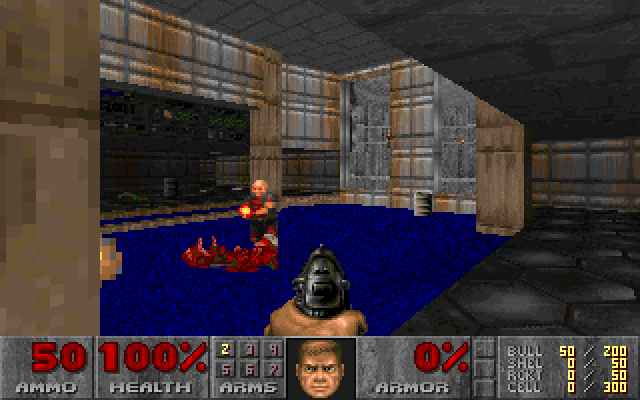 Get Ultimate Doom version 1.9 running (i.e. in conjunction with DOSBox). 2. Download DoomWAD.zip and extract the MIX.WAD file into your Doom directory. 3. Start Doom using the -file mix.wad parameter (see figure). 4. Start episode 1 (Knee-Deep in the Dead).